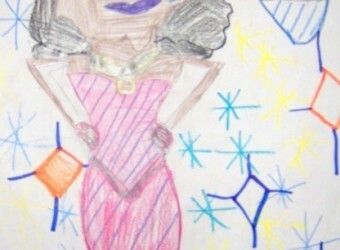 This activity will encourage your child to build important pre-math skills such as understanding the “part to whole” relationship and recognizing geometric shapes, while along the way creating a unique work of art. Go on a walk around your neighborhood to look at some different types of architecture. Ask your child to look at the houses and buildings and name parts of the structure (i.e., roof, door, window, porch, column). If this is not possible, you can look for some building or architecture based picture books and read about building while discussing the illustrations or photographs. 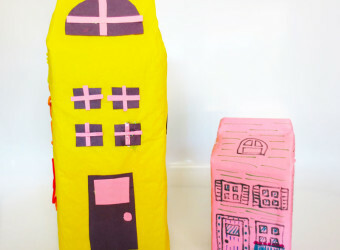 Help your child cut out basic shapes such as squares, rectangles, and triangles from the construction paper. Vary the sizes and widths. These will become “building blocks” of each structure she will make. Allow your child to first play with the shapes, building new and different creations. A triangle may turn into a roof, rectangles in a row may turn into columns, or a square may become a window. 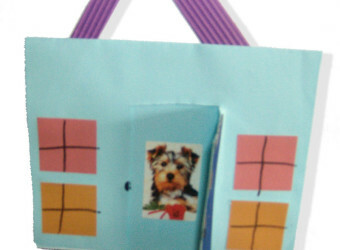 Have your child make a collage by gluing the shapes onto the construction paper sheet to form a building. This can be repeated for multiple buildings. Optional: Your child can embellish the building by decorating it with a markers or crayons. 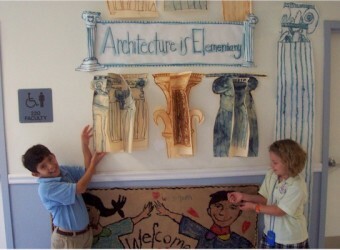 The architecture collage can even serve as the beginnings of a whole shape city if your child likes. Discuss the appearance and uses for different buildings (form and function) with your child to emphasize why architects are important. Remind her that she is a junior architect creating some of her very own special structures! For more great ways to teach your kids about geometry (including fun games and worksheets), visit Education.com! 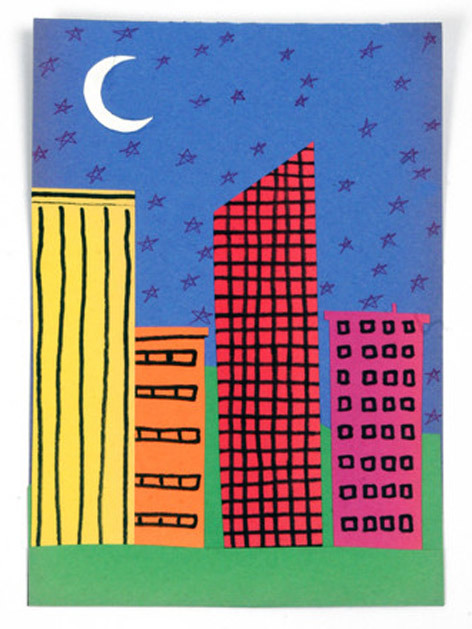 ❖ Similar Categories: Architecture, Drawing Lessons for Kids, Sculpture/Collage Lessons for Kids, S.T.E.M.